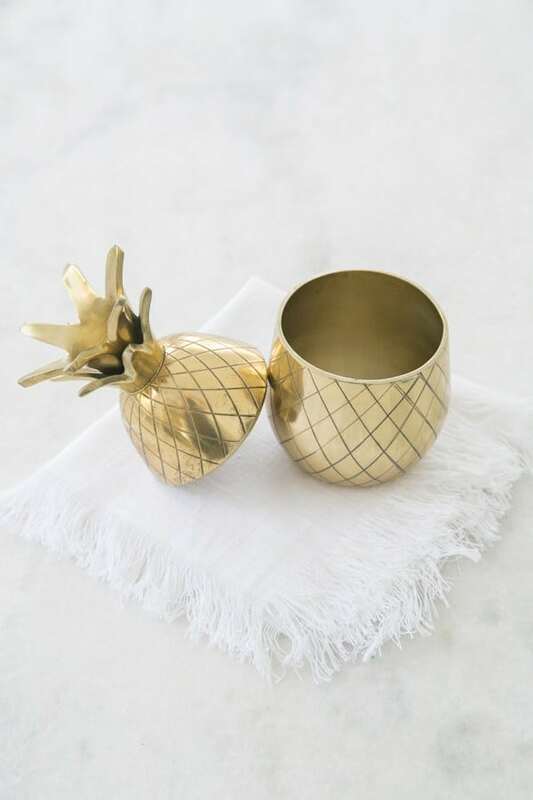 Oh how we love a good DIY that doesn’t cost a lot of money! 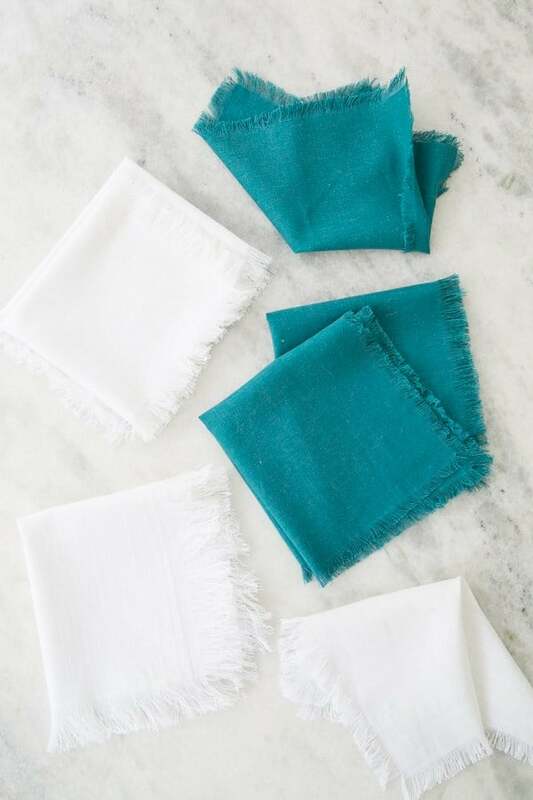 Knowing how expensive fringe linen napkins can be, these DIY fringe linen napkins are the perfect alternative to buying expensive ones and you don’t need impeccable sewing skills!! I love the fringe edge almost more than standard napkins! We went to Jo-Ann Fabrics and Craft store and used a 40% coupon to buy some beautiful linen fabric. Jo-Ann’s and Michaels Arts and Crafts always have a 40% coupon, so you save almost half on the fabric! I downloaded their apps and use them every time I shop there (this is not sponsored btw! Just sharing a tip I use often!). 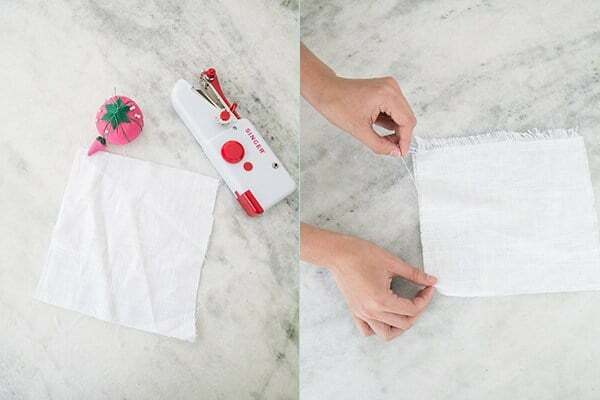 If you have a little sewing machine at home, that’s great – or use a hand sewing machine. But that can be a little harder. Besides that, you just need linen fabric, scissors and a small needle to help fringe. 1.Cut the fabric into squares. A standard size is 20″ by 20″ and you can leave an extra inch for the fringe if you want. 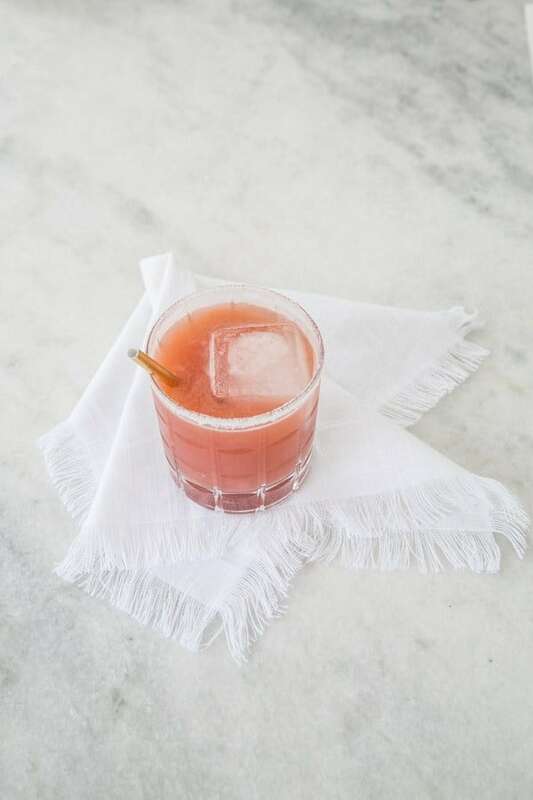 Cocktail napkins are smaller. 2. 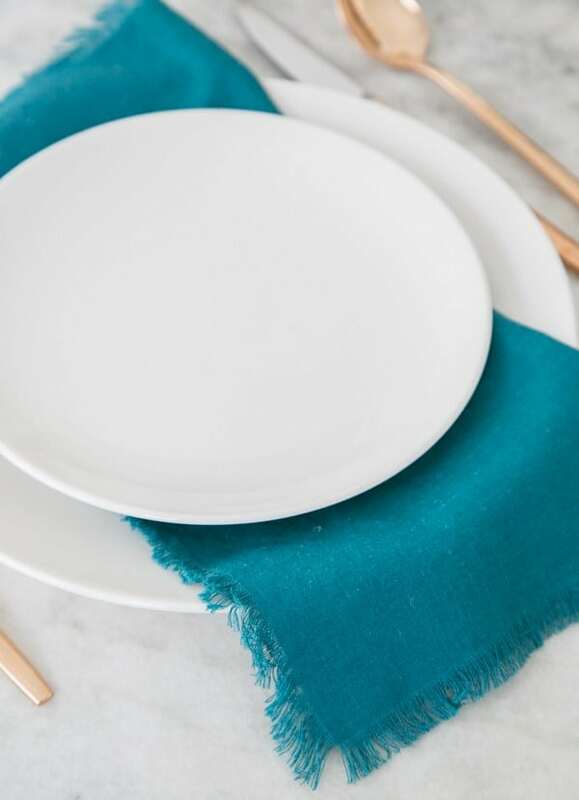 Iron your napkins so they’re nice and crisp! 3. Take a ruler and measure 1″ to 2″ (depending on how much fringe you want! I like 2″) from the outside of the fabric towards the middle. You will sew a perfect square seam, 2″ from the edge of the fabric. This will keep it so the fringe stays in the place and doesn’t continue to unravel during washes, etc. 4. 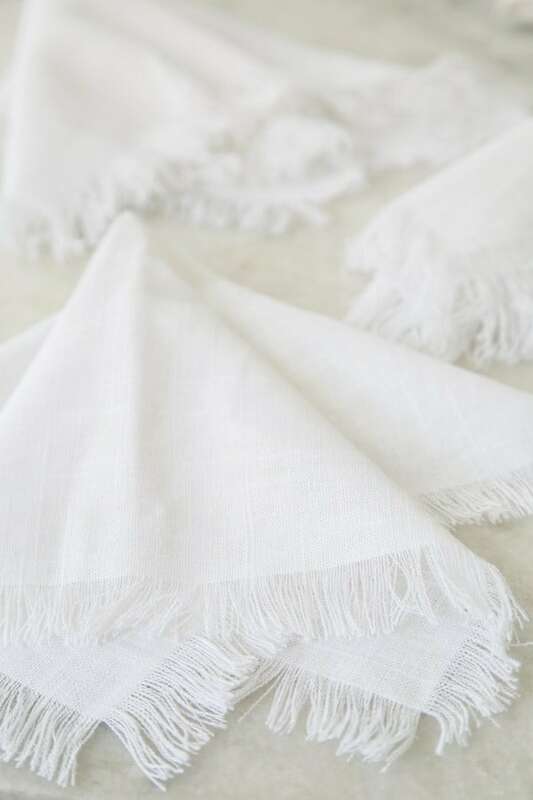 Once the seam is sewn in the middle of the linen, you can start to fringe! Start on one side, pulling each thread individually. If it’s a looser weave it will come apart easily. You can use a needle to help as well. Fringe until you reach the sewn seam. Then do the other sides. 5. You’re done! 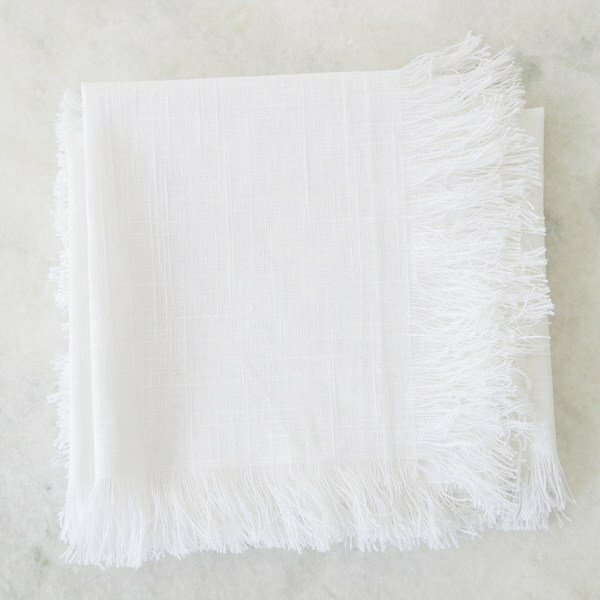 Enjoy your fabulous DIY fringe linen napkins! Yay for charm on a budget! 10 Dreamy Dining Rooms We Want to Entertain in! 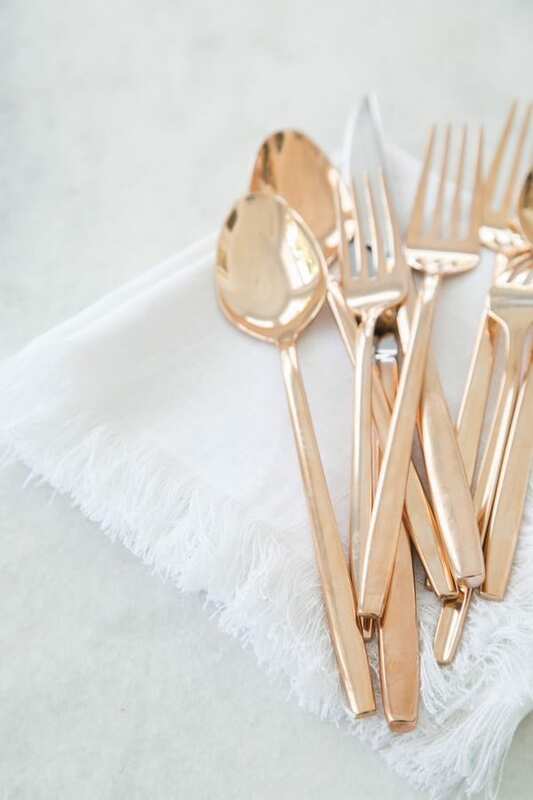 What a great DIY, I would love to try this with cocktails napkins!